Special Ki Event on October 8th from 4-6pm! 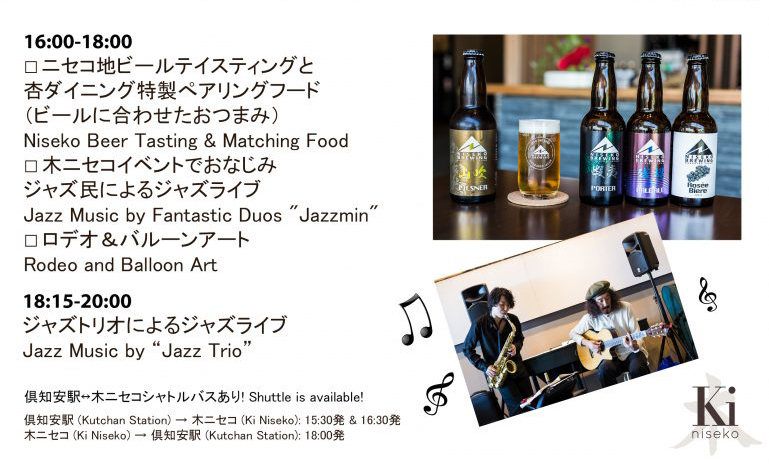 This afternoon Ki Niseko will be holding a beer tasting event with live music from 4pm to 6pm, at An Café & Bar. 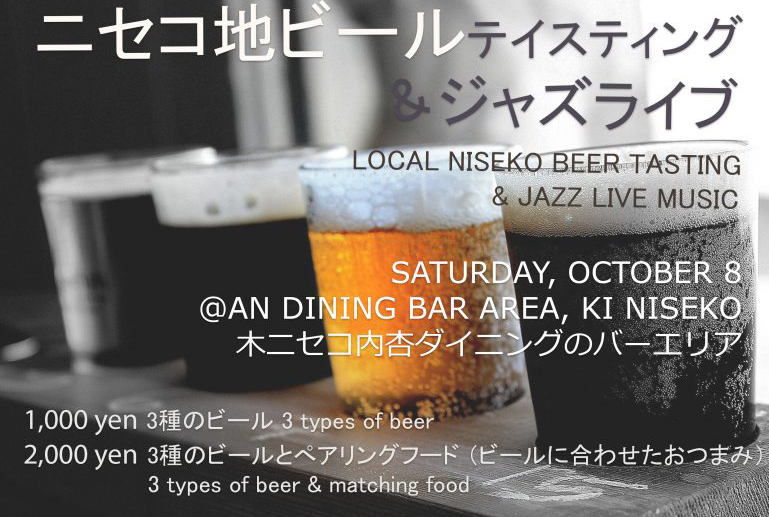 For all the infomation on the event please take a look at Ki Niseko’s website.